Police released a photo today of a suspect who allegedly slapped a 94-year-old man across the face and then stomped on his glasses in May. 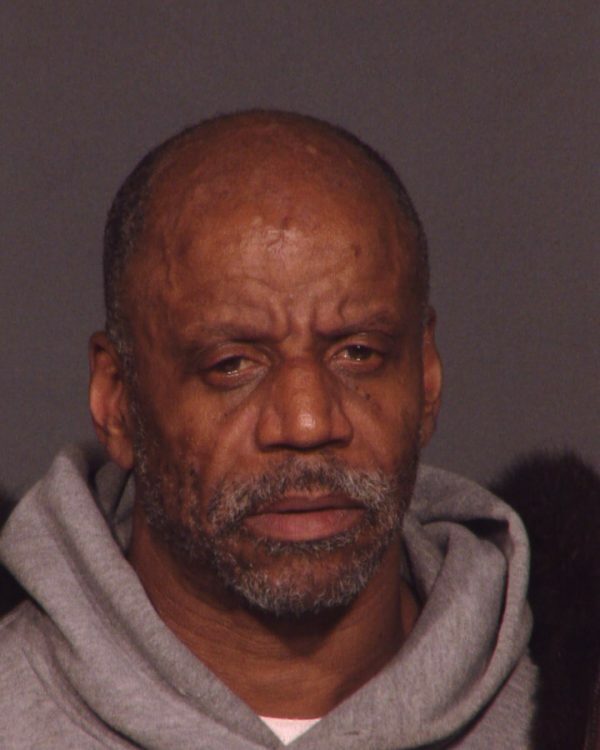 Police say that the suspect, George Powell, 58, attacked the 94-year-old at around 12:18 p.m., May 18, in front of the victim’s 97th Street apartment building. The incident occurred after the two men got into an argument. Powell then slapped the victim, knocking the man’s glasses to the ground. Powell stepped on them and smashed them. He then fled the scene on foot. The victim sustained a cut on the nose. Powell is described as black, about 5 feet 7 inches tall and 160 pounds. He has brown eyes and is bald with hair on the sides of his head and a beard. He was last seen wearing black boots, dark jeans and a grey hooded sweatshirt. Anyone with information in regards to this incident is asked to call the NYPD’s Crime Stoppers Hotline at 1-800-577-TIPS (8477) or for Spanish, 1-888-57-PISTA (74782). Thanks, for posting this creep’s picture.